The joy of reading a colourful and interesting children's poetry book is seldom experienced. When you give a child a book to read it should be clean, colourful, beautifully illustrated and age appropriate. This means, the right book, at the right time to the right person. Nazia Jabeen who believes in healing hearts, considers education to be a therapy in its own rights, has written a book of rhymes keeping tiny tots in mind. “Janala Die Khoka Dekhe” which describes the scenes a little boy enjoys from his window sill is the first publication of Jatra, the renowned fashion house in Banani. It was launched on 14th May 2007 at the Jatra premises and the famous and respected artist Mostafa Monawar was present chief guest. Steeped in dreamy surrealism, the pictures of the book will intrigue children to discover the beauty of the blue sky, the green grass, grasshoppers, colourful butterflies and birds. This book has been hand painted from cover to cover, courtesy Nasrin Ahmed and aims to inspire children's imagination (aged between one and three) with its lush colours and pleasantly rhyming text. The look-and-find journey of the little boy through varying colourful settings in different situations is not only appealing to children but adults as well, where one will want to pluck ripe mangoes from the trees described, listen to the buzzing of the bees and the frolicking of frogs near the pond. The different sights and sounds portrayed will work to take older readers back to their childhood days. “Janala Die Khoka Dekhe” is intended for pre-schoolers. This is Nazia's fourth publication of rhymes and she has a book of short stories for children to her credit as well. Each character in this book is extremely lively; full of happiness and warmth. It is hoped that the intended readers will greatly enjoy and benefit from it, and that they will be aware of their surroundings, the environment and the world around them. Bags of goodies seem to be the hype these days. Walk into any birthday party or holud or even corporate parties and chances are they will bestow you with a goody bag seemingly full of heavenly drops. 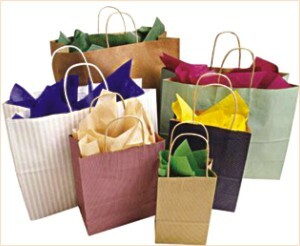 They can come in different forms like a bag, pouch, box, a wrapper, ribbon or even a handkerchief. They vary in size, shape and colour. While red, pink and other bright colours are reserved for the females and kids, white, blue and lighter shades are for men. The pouch or box in question is well decorated with ribbons, glitters, and flowers. Kids insist on attending certain parties once they know they can return happily with a big bag of return gifts. The only reason for attending certain parties at times can be the gift. Why blame the kids? Even adults would like to return home with a handful of gifts and a big smile on their faces. For kids, a bag with cartoon figures seems quite appropriate. Brightly coloured plastic bags with cartoon characters are readily available in many retail stores. Male kids preferred goodies are always chocolates, stickers, toys and so on. As for female kids, they would go for chocolate, hair ribbons, small sized jewellery and accessories for dolls. One should be careful as to the contents as childrens' lipstick and certain types of jewellery may not be appreciated by the their guardians. The goodies could be individually wrapped so that opening each goody becomes a surprise. These days Holud functions do not seem complete without goody bags. As invitees queue up for entry, young girls on both sides line up with baskets full of goody bags. These priceless bags have actually become a status symbol. After the showering with petals and flowers comes the goody bag stage. They are packaged based on gender and age. Female goody bags often contain bindis, glass bangles, earrings, hair clips, combs, nosepins, and anklets. The accessories are of course of a lower price range. Men on the other end receive completely different types of commodities like key rings, pens, handkerchiefs and so on. Pens and key rings can be printed with the names of the lucky bride and the bridegroom. Handmade cards welcoming the guests to the occasion is also a good idea. Kids and female bags are often full of candy. Birthday parties and holuds are not the only places for goody bags. Even corporate houses hand them out smartly once you attend their seminars or any of their innumerable events. Of course the contents of such bags are very different. The goodies are usually contained in a big bag with the company logo on it, which facilitates advertising techniques. The corporate goodies are usually caps, T-shirts and pens with the company's name and logo on them. Wear them anytime-anywhere and you are doing free publicity for the company. Attending any event is a joyous memory and a goody bag only adds a golden lining to it.